Ahead of tonight’s induction into the Rock and Roll Hall of Fame, the members of The Cure past and present walked the red carpet, where Robert Smith managed to drop a bit of news, saying the band “probably” will perform Disintegration on tour in the U.S. later this year. The interviewer during that livestreamed red-carpet appearance asked Smith about the band’s plans to celebrate this year’s 30th anniversary of the landmark Disintegration. The band already has announced plans to perform the 1989 album Down Under four times this coming May. 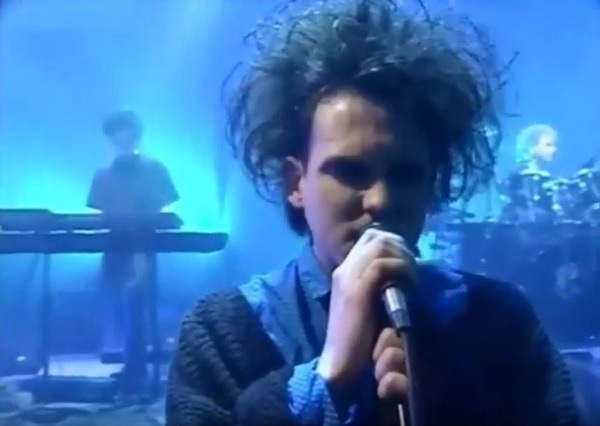 It’s not the first hint the band will be touring the U.S. this year; keyboardist Roger O’Donnell in a prior interview talked about “possibly American shows in the fall.” But it’s the first time it’s been confirmed that those plans to play in the U.S. would center around a full-album performance of Disintegration. Below, check out the video of The Cure’s red-carpet appearance — the current lineup is followed by interviews with former members — as well as the band’s current tour dates. So was that Michael Dempsey, Lol, Perry and Boris (bestest drummer ever) on the 2nd interview? Yes, I believe those were the ones. Didn’t recognize Boris so well. I agree, he was the best drummer the cure ever had!! I cannot wait to see Reeves play Van Halen solos over Plainsong and Untitled.